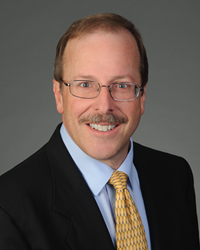 Jeff VanDyke joined HNTB Corporation as senior project manager. He is based in the firm’s Atlanta office. VanDyke has more than 30 years of comprehensive transportation experience, with 14 years in private-sector consultation and 16 years in the public sector at the Georgia Department of Transportation. In his new role, VanDyke serves as the primary point of contact for large projects in the Office of Innovative Delivery, and coordinates with GDOT to develop alternative delivery packages. He also is responsible for all aspects of project management, including staffing, quality control and scope of work determination on Design Build projects. VanDyke has worked on a variety of transportation projects throughout his career including, interstate projects urban and rural widening projects, bridge replacements, and intersection improvements. This experience includes planning, design and preparation of construction plans; utility coordination; and right-of-way plans and acquisition coordination. Prior to joining HNTB, VanDyke served as a senior project manager and GDOT client manager for another consulting firm. VanDyke is a member of the American Society of Highway Engineers and is active in the American Council of Engineering Consultants. He earned a Bachelor of Science in Civil Engineering Technology from Southern Polytechnic State University and is a registered Professional Engineer. Combining both national and local expertise in the design of innovative transportation solutions, HNTB’s Atlanta office has worked on a number of significant projects since the opening of a design office in 1968. Major projects include the I-85/I-285 Interchange, the Metropolitan Atlanta Rapid Transit Authority Dunwoody Station and various aerial and underground line sections throughout the MARTA system, Atlanta’s streetcar system, the Georgia 400 Toll Plaza, and the Wall Street Viaduct replacement. Current projects include the I-75 South Metro Express Lanes, Hartsfield-Jackson Atlanta International Airport General Engineering Consultant services, and support for Georgia Commute Options. HNTB Corporation is an employee-owned infrastructure firm serving public and private owners and contractors. With more than a century of service in the United States and nearly, HNTB understands the life cycle of infrastructure and addresses clients’ most complex technical, financial and operational challenges. Professionals nationwide deliver a full range of infrastructure-related services, including award-winning planning, design, program management and construction management. For more information, visit http://www.hntb.com.